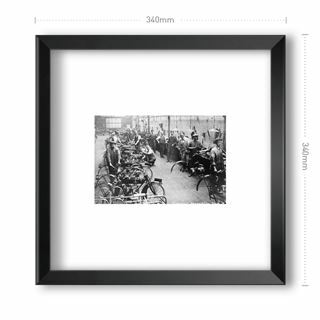 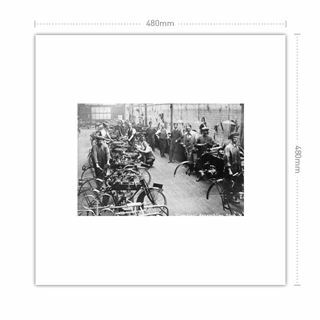 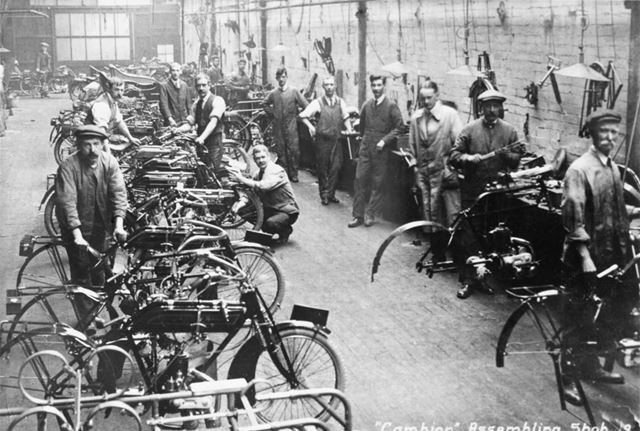 This is an interior view of the 'Assembling' shop at Campion Cycle Co. Ltd. 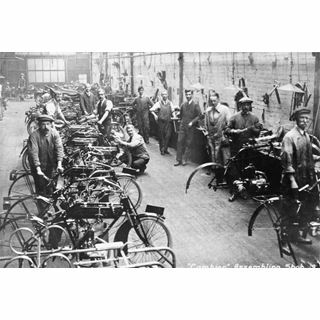 According to directories for 1903 and 1905-6,Campion Cycle Co. was based at 11, Liverpool Street and 2-4, Carlton Street. 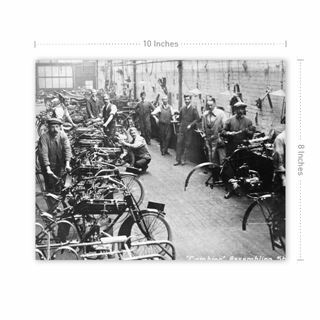 It is presumed that Liverpool Street was the workshop and that Carlton Street was the retail base.